The dodo is probably the most famous in the long line of extinct animals of the last few hundreds of years. Being the species that made humankind realize the fact that an animal can actually and permanently disappear from existence because of the impacts of human civilization made the dodo a generally known icon of extinction; and appearing as a character in Lewis Carroll’s novel Alice’s Adventures in Wonderland (1865) and in the popular animated movie franchise Ice Age established its prominent position in modern pop culture. 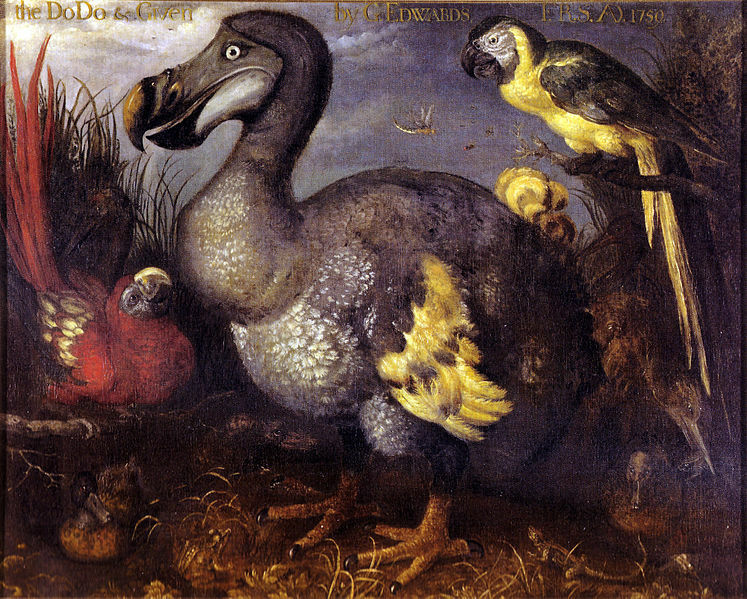 Date of extinction: The last widely accepted sighting of a dodo dates to 1662. Range: The dodo was endemic to Mauritius, a small island in the Indian Ocean about 2000 km off the southeast coast of the African continent, east of Madagascar. Habitat: Natural rainforests at the coastal area of the volcanic island with tropical, humid climate. Cause of extinction: With the arrival (1598) and settling of the Dutch sailors, the rainforests of the island were gradually destroyed and replaced by plantations of imported crops (sugar cane, rice, tobacco, citrus trees etc.) to cater to the needs of the drastically increasing human population. With its natural habitat disappearing rapidly, the flightless, tame bird was hunted to extinction by the predators – dogs, cats, rats, pigs and macaques – introduced to the island by the settlers. According to prevalent opinion the settlers themselves also consumed the dodo’s meet, though recent archaeological investigations have found scant evidence of human predation. Description: Recent scientific examinations also show that the common portrayal of the dodo in literature and pop culture as the archetype of the plump, gluttony, dumb(ish) bird is largely incorrect. Descriptions about the bird from the 17th century are contradictory regarding the details (colors, plumage, tail, beak etc.) of its look, with only a few – rather poor quality – drawings made of wild individuals. The numerous depictions created in the later centuries either copy the few originals made of living dodos brought to Europe and overfed in captivity or were made of badly stuffed specimens. These stuffed specimens were all damaged or lost during the centuries until only a dried head and a foot remained with soft tissue (in the Oxford University Museum of Natural History); along with a few dozen of incomplete and composite skeletons und subfossils mainly found in the excavations of the Mare aux Songes swamp in Southern Mauritius around 1865 and 2005. 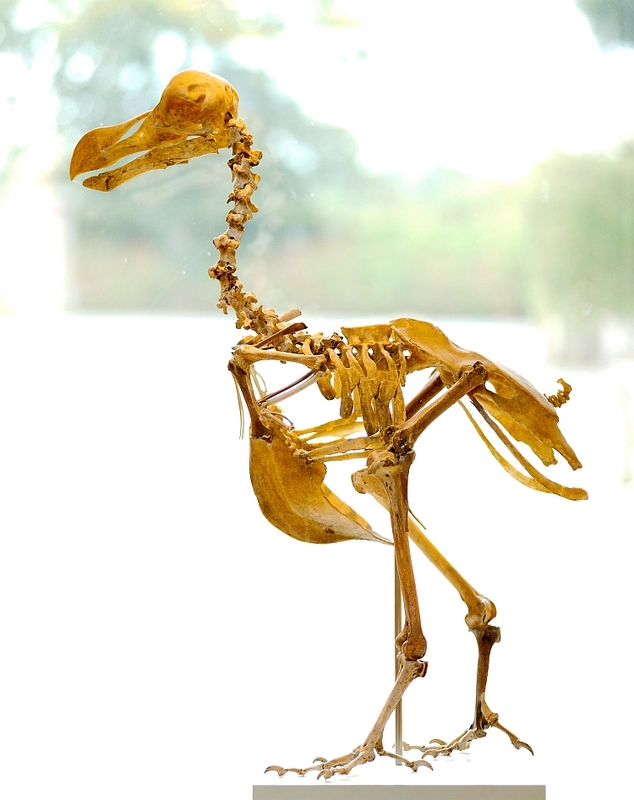 Based on the scientific and forensic examinations of these remains and the few legit depictions of living specimens in the 17th century in Europe and India, dodos were neither particularly fat nor dumb – their build and brain size agrees with the parameters of bird species living in similar habitats and conditions. 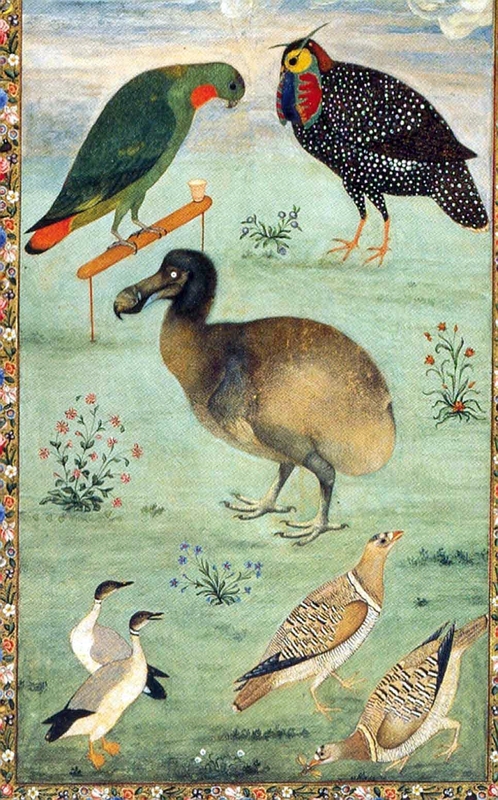 The dodo was about 1 meter tall and weighed about 15 kg; his closest relatives are Asian pigeons but the dodo adapted perfectly to a life on an isolated island with no predators and evolved to a flightless bird with short wings, a bulky body, stubby, strong legs and strong, crooked beak. 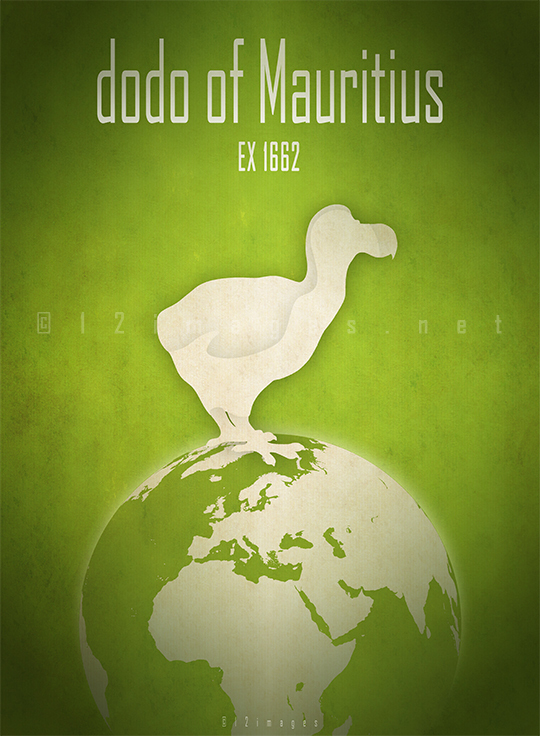 The dodo poster at the top of this post is available in my store on Redbubble, with design variations more suitable for apparel and other products. My whole profit goes to the Sea Shepherd to support their fight to protect our oceans and marine wildlife.